Eighth-generation Sifu David Berman has been teaching physical art forms for over 40 years. He began his study, of dance and mime, as a child interested in the theatre; he went on to perform on and off Broadway, and to teach dance, movement and stage combat to kids, college students and professionals. 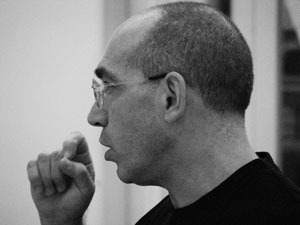 During the seventies he toured with the National Theatre of the Deaf, was artist-in-residence for three years at the University of Rhode Island, and twice guest artist at the American Dance Festival. Meanwhile, his interest in martial art was developing. He had first encountered taijiquan while training with Peter Brook’s International Centre for Theatre Research in 1971; in 1980 he met Sifu Lo, and was quickly captivated by the depth and complexity of Wu Mei Pai. He devoted more and more time to practice, and in 1984-85 took a break from performing to design and build the Bodyworks Fitness Center under Sifu Lo’s direction, and to become its first director of training. In 1988 David accepted Sifu Lo’s invitation to become his disciple, was officially adopted into the family of Wu Mei Pai, and was given the name Hei Yihn (Rare Virtue). He began teaching under Sifu Lo’s guidance, and developed a gongfu-for-kids program at the Children’s Aid Society’s Rhinelander Center. In 1990, he won two gold medals at the North American Chinese Martial Arts Championships. He received the lineage of Wu Mei Pai in 1993, and was authorized by Sifu Lo to accept students of the ninth generation. Since then, Sifu Berman has continued to pursue the humbling example set by Grandmaster Peng. Although he represents Wu Mei Pai exclusively, he has rounded out his martial education by studying all the other major internal styles: Taijiquan with Sifu Xie Bing Can and Rev. Eric Schneider, Baguazhang and Xingyiquan with Sifu Yang Fu Gui, Bajiquan with Sifu Kai Yu, and Yiquan with Sifu Fong Ha. He studied Chinese calligraphy with Master Lo Ching Wu, and is now a published poet and calligrapher, as well as a practitioner of therapeutic qigong and of feng shui (geomancy). Sifu Berman also continues to pursue the restoration of the relationship between martial and spiritual practice. He has been a meditator for over 40 years, and was for fifteen years a student of the late Chan Master Sheng Yen, on whose behalf he served on the board of directors of the Dharma Drum Mountain Buddhist Association. He is Editor-in-Chief of the Buddhist quarterly Chan Magazine, and teaches meditation and Buddhist theory at the Chan Meditation Center in Elmhurst, Queens.